Life Athletes, hello and welcome to episode 68 of the Life Athletics Podcast. 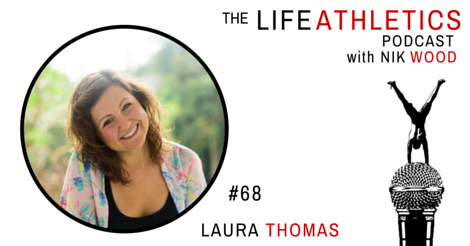 Today’s guest Life Athlete is Laura Thomas. Laura a digital nomad who has dedicated her life to free people from two of her past addictions: Sugar and the traditional path. Her website http://happysugarhabits.com will assist you in reframing your relationship with Sugar and her role as the head of Tribe Wanted Bali assists entrepreneurs in living and working on their terms.